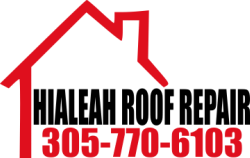 Miami, FL can find comprehensive roofing services in Hialeah Roof Repair as well. When you choose our team for your roofing needs, you’re getting the same professional service, top quality, and better pricing thats closer to home. There’s no longer any need to try and find the right choice when you know more people hire us for their needs over anyone else. When other companies wind up offering fewer services to the surrounding communities, we offer the same extensive list of roofing services even though you happen to live in Miami. This way you never have to compromise quality for convenience and still get the best deal possible, no matter what your roof needs. ​When other companies want only to give you a quick fix or a band-aid repair, we give you the best roofing services faster each time. So stop hiring poor quality roofing contractor companies and save on your repairs with us. Other companies may insist that you have them replace your roof even when you may not need to. Our team is always upfront and honest, and always has your best interests in mind. If we think your home can benefit from a new roof, it’s because it’s what is best for your home. For a better quality roof replacement for less, just hire us for your house. Hiring our team for your roof replacement stretches your budget further than ever before. ​We offer more types of repair options for more roofing types, giving you the best service possible each time. Other roofing companies may only handle asphalt roofing tiles. But when you choose us, you’re getting better repairs for wood, metal, tile, and all other major makes of roofing materials each time. ​Even small roof leaks can quickly become serious problems. That’s why when you experience roof leaks, you need a professional team you can trust. Who can come and Look at your Roof Leak immediately. We offer the best in local roof repair services, giving you a better value each time. Before you call an expensive national roofing chain, let our locally owned and operated roofing company help you. Because we're local we are available 7 days a week from 7 am to 7 pm. We work diligently to keep our neighbors safe and dry under a top quality roof. ​We hire only the best local roofing professionals we can find, and that’s the secret to our success. We know that when we offer a better quality of roofing services for less, more people will choose us each time. Call us with the peace of mind that you’re getting a better roofer each time. Why pay more for a roof inspection? When you call us, we offer you a completely, FREE Roof Inspection for your home. We believe checking your carefully and diligently, proves our dedication to your best repairs, Hialeah Roof Repair is doing More for less than anyone else in Miami Dade County. Roof Cleaning and Maintenance is the lifeblood of your roof's longevity. A well maintained roof can provide you added value and security in your Building's overall structure. Miami is stormy and can withstand very high winds and rain through Hurricane Season and beyond. It's important to know through annual Roof Cleaning and Maintenance that your roof with withstand all Miami weather has to dish out. Hialeah Roof Repair offers very affordable and extensive Roof Cleaning and Maintenance plans for all budgets. Ask our technician for details when he comes out for your FREE Roof Inspection.